Here are your thoughts on the purpose of ‘La Mian in Melbourne’ from the personal angle. I enjoyed reading all of them at relative leisure after the lecture, particularly those that managed to weave the themes of identity, memory and family / tradition all together. Your responses as a collective certainly address how memory is sometimes our sole ‘sanctuary’ when it comes to the people and places we love, and that these memories are contained in objects, places and things. To digress a little, I certainly hope Eunoia will be the same fountain of memories that your old school is for you today (yin shui si yuan, and everything). If what you want to see are metal buttons and blue pinafores, head here. Many of the statements you find below highlight the relevant concerns, and I’ve bolded a few that I think more directly address purpose – that the poem does something (laments, speaks of, serves to remind, expresses) and has something to say, above describing what occurs within the poem. The poem is a short soliloquy on the perception of time. It illustrates the pain of looking back with the fore knowledge of the future. Boey’s poem highlights how fond memories never really leave us, even across continents and through the passage of time. The poem is a spatial (i.e. of space) and temporal (i.e. of time) journey to the past to lament over the loss of familial ties and traditions. Traditions are lost and only memories remain and the writer sort of regrets how their own family tradition could not be kept. The poem serves to remind the readers of traditions lost as one generation moves on to the other; to treasure our memories as they ultimately become the past. It illustrates how a scene can jog one’s memory and create a train of thought. It provides a nostalgic, aching, experience for the past. It speaks of profound yearning repressed by the urgency surrounding him, but is expressed and amplified by nostalgia he feels in small things. The poem is about the evolution of tradition and the loss of focus on building memories just like the author’s memories of his Grandmother. The persona seeks temporary refuge in nostalgia but realises these fond moments will never be again. Hardened by the truth he resolves to live again. It reflects how people only treasure what they have when it’s gone. The poem is describing the persona’s sadness and loneliness at being so far from home through the extended metaphor of the act of consuming. The loss of a home comes together with the loss of the practices and heritage that make up a place’s identity. The poem is about the persona missing home in an overseas country, and reflecting on the loss of traditions in his home country. The poem reiterates the never ending circle of family and making a conscious effort to maintain relationships. The consumption of noodles suggests how the persona longs for a piece of home but also regret on how its tradition has eroded at home anyway. The poem expresses the longing for familiarity after the fading of memories and sense of loneliness in a foreign land. The poem’s purpose is to highlight the longing one will feel when separated from home. 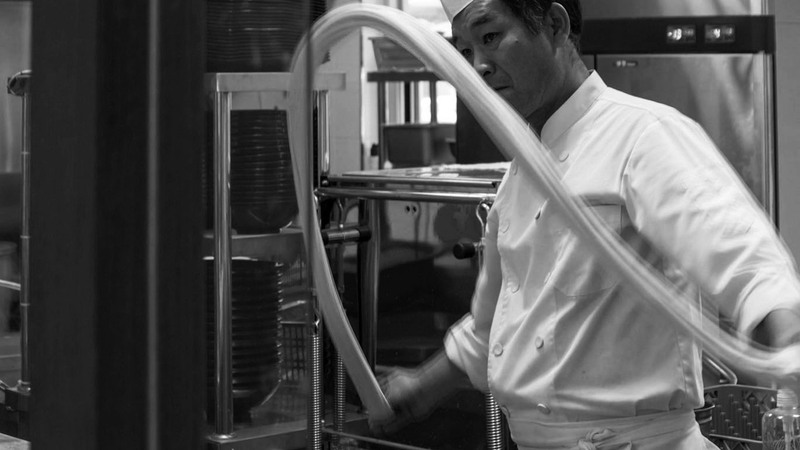 Noodles, like the ropes that can tie things together, are tasted in this poem again. The author regrets the loss of bonds over one’s dreams. The poem dwells on the sadness and longing of the narrator who misses his family in Singapore, as well as the country’s culture. The poem critiques how throughout generations, traditions once held dear, or that required great sacrifice, have been diluted over time. The author is lamenting the forgotten culture and tradition in Singapore which he is reminded of again in a foreign country. The poem portrays the poet’s deep sense of longing for traditions that he held close to his heart which has faded over the passage of time. I feel it surfaces the problem of vanishing practices, and as society advances, we simply do not bother to spend time on past traditions. The poem reflects on the Singaporean tradition and the memories associated with them. It weeps over the loss of past due to social changes. The poem is a societal commentary on the paradigm clash between Western and Eastern cultures. The poem is saying how as time passes, generations go on and traditions are being lost along the way. It is about how culture is diluted and lost during the passage of time, and sometimes we don’t realise that until we suddenly get reminded. The poem’s purpose is to reflect the bittersweet feelings of the poet and reminds us to remember to stay true to our roots. The purpose of the poem is to reminisce on the rich tradition of Singapore that has been sacrificed for the urbanisation. By comparing the loss of noodle makers and the traditional culture, the poem showcases how food is linked to traditional culture. The poem’s purpose is to inform readers that traditions and family are important. The poem is a critical analysis of the loss of tradition and heritage as we enter the modern age. The poem laments the seemingly inevitable loss of traditional practices that once constituted parts of the personal identity of the poet. The poem is talking about how traditions have lost its importance over time and how family ties are no longer viewed as a priority. As time passes, there is a loss of local tradition. The persona feels nostalgia and desires to reconnect with the past. The poem’s purpose is to reminisce on traditions and times past but to remind us to seize the things yet to come. It’s trying to express the loss of tradition, heritage, and culture in the place of its birth (home). The poem’s purpose is to personally reflect on his memories and express how he regrets the loss of his family traditions. The poem seems to be lamenting that in chasing personal ambitions, people often neglect what they give up – family, tradition, etc. The poem laments the erosion of family traditions, and by extension, that of culture and local heritage in Singapore. The poem is a reflection of poignant memories, a winding piece on heritage, tradition and family, the collective of intertwined relationships.